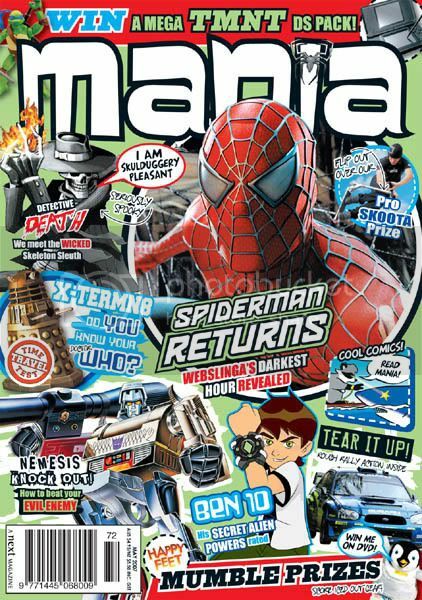 The May 2007 issue of Mania, #72 is out now. Moth & Tanuki are up to their fifth issue appearing in this magazine (and their seventh episode). This time I thought I'd post a whole page as a teaser. This is an episode I drew over Summer, when it was still hot (and actually before the shark scare at Phillip Island). I had worried about the timing with going to press, but global warming has ensured that it's still unseasoningly hot and beachy right now. Tanuki puts in an appearance on the cover, with a bit of recaptioning (which made me LOL when I noticed it). The cover has a lot happening - click on the pic if you want to see a larger version. OzTaku also did a bit of creative M&T recaptioning in #1.3 (in the previews for next issue). There was a thread on a forum a few years ago where people started doing this with a pencilled M&T page I'd posted - they do seem to lend themselves to it. Maybe I should post an uncaptioned page here some time :). Good to hear global warming didn't let you down haahaa ... it feels like it's been raining for months up here - with a few days like Winter time in Summer. Will look out for "Mania"! That's so cute! 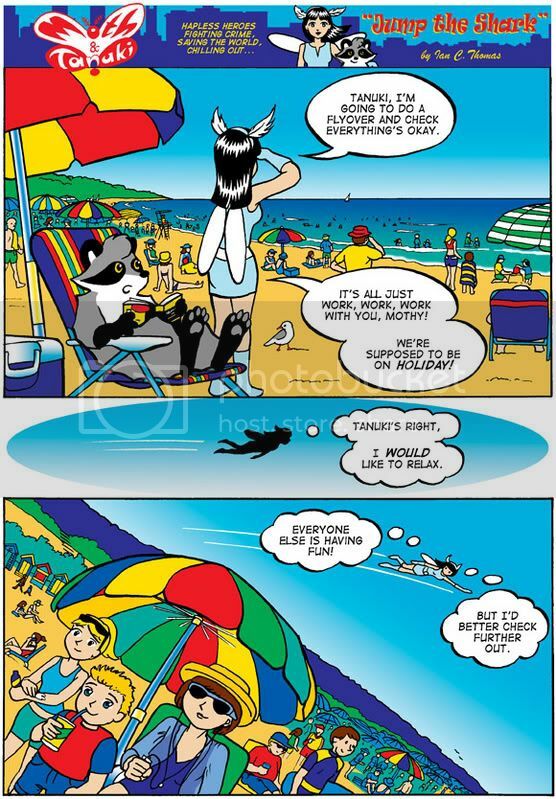 Fun at the beach with moth girl & raccoon boy!